Interactive posts drive small donations to No Kid Hungry. Millenials, if trend pieces are to be believed, have been on a murder spree ever since their generation started to come of age. They’re "killing" napkins, golf, the NFL, focus groups, wine corks, the American Dream—the list seems to grow longer by the month. 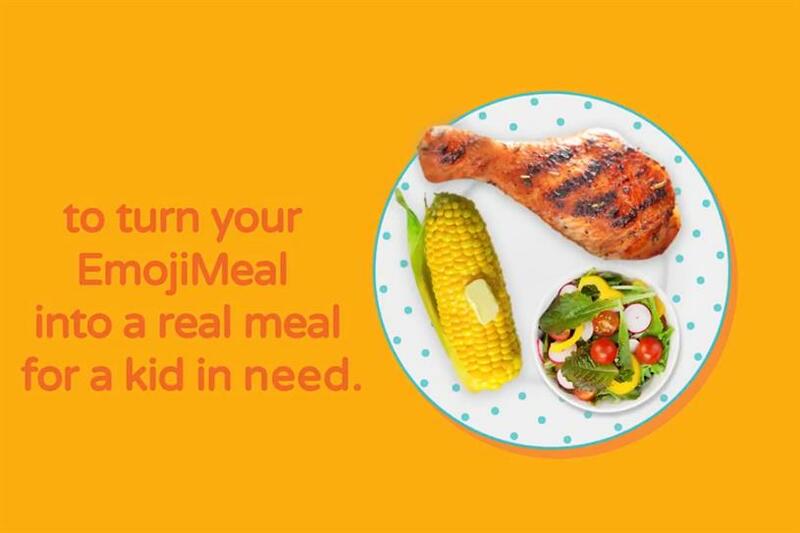 With #EmojiMeals, a new Instagram Story campaign for No Kid Hungry, BBH NY wants to add another victim to the list: child hunger. "Stories are such a growing platform, and people are already having fun with emojis, and it was a natural fit with food," said Gerard Caputo, chief creative officer of BBH NY. "This campaign takes slacktivism-type behavior and lets people actually do something." The #EmojiMeals Story asks users to drag up to three food emojis onto a plate, then click a link to donate the corresponding amount—$3 for one emoji, $5 for two, or $10 for three–to No Kid Hungry. The whole process takes less than five minutes and was designed to seamlessly slip in between the mostly lighthearted posts users share on their Stories. "You have to be conscious of how people are thinking when they’re interacting with something," Caputo said. "Sometimes it can be interesting to disrupt that to get attention, but this needed to fit more into the vibe of how people are using Stories." The campaign began in April at a Facebook-sponsored hackathon focused on ads native to Instagram Stories, where Caputo said his team was determined to create "something actionable, since often you come out of hackathons with cool stuff that’s hard to find a home for." They emerged with a tool that easily drives payments within Stories—a flexible strategy for both commerce and charity. BBH brought it to No Kid Hungry, which the agency has worked with before, and they set to work adapting the system to a donation-focused campaign. While Caputo said this campaign was informed mostly by the team’s previous experience targeting millenials for other clients, not by additional research, data on millenials’ philanthropy habits supports their strategy. Almost 17 percent of online donations last year were made on a mobile device, and thanks in part to microfunding drives during the 2012 and 2016 presidential elections, millenials are accustomed to donating in small increments like $3 or $5. Overall, 84 percent of millenials made a charitable donation in 2015, the most recent year for which data is available. Younger Americans also have a different philosophical approach to charity: Where their parents might have supported a church or large charity group with a broad mission and trusted that group’s expertise to allocate funding, millenials want to feel individually involved and see specific, gratifying examples of their impact–like, say, little drawings of the kinds of food a donation could put in front of a hungry kid. Caputo said his favorite thing about the campaign is that it challenges the idea that charity has to be a somber affair. "The campaign shows that donating to a cause doesn’t require the typical tropes of PSA advertising—it can draw people into an experience that they get joy out of participating in," he said. "The issue is still serious, but you can put it in a space where people are having fun."